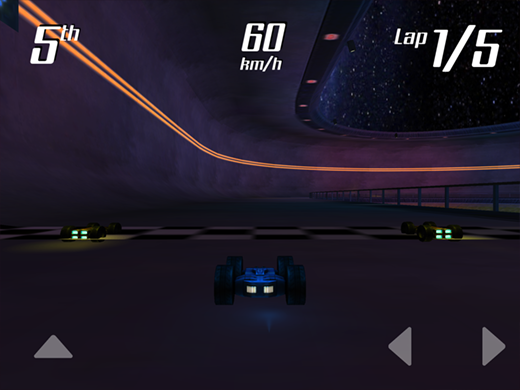 For all of you speed demons, race car lovers, and go-kart fans, this brand new iOS-exclusive racing game is a must-play! 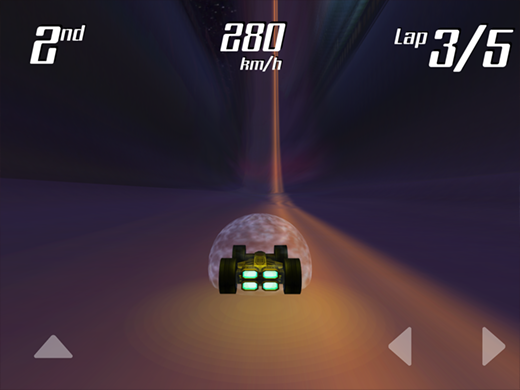 This high speed racing game features a gravity defying experience as you race across ceilings and walls at speeds of up to 500 km/h. 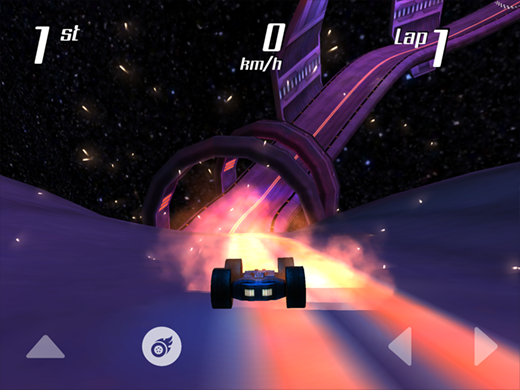 Perform dynamic, high-speed aerial stunts in an intense driving experience powered by a brand-new physics engine that is the first of its kind in an iOS game. You won't find this kind of game play anywhere else. In order to come in first place, speed alone won't get you there - you'll also need some weapons to hinder your opponents so that you can take the lead. In addition to these weapons, power-ups will appear randomly on the track, so keep your eyes peeled for these advantages and grab them before your opponents do. With both Facebook and Game Center integration, you can invite your friends to play and keep track of your high scores on the global leaderboard. 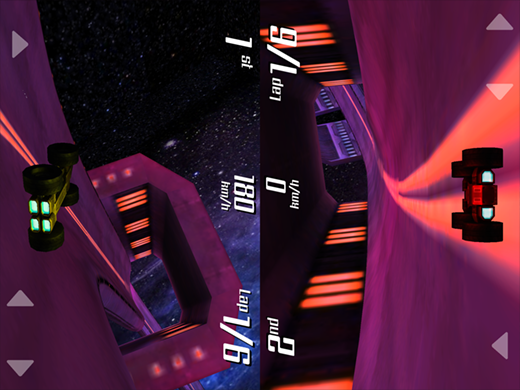 Additional features include WiFi multiplayer, and split screen multiplayer (on iPad and iPhone 6 Plus only).